Home/Blog/Captivity Industry/Thanks But NO Tanks! Perhaps the best thing to come out of SeaWorld’s announcement that they will be building larger tanks is their admission that they’ve been battling negative publicity over their captive killer whales. Upon seeing stock prices plunge as a result of sinking revenue and attendance, SeaWorld announced they would be upgrading the killer whale tanks at three of its theme parks, starting with the San Diego location. 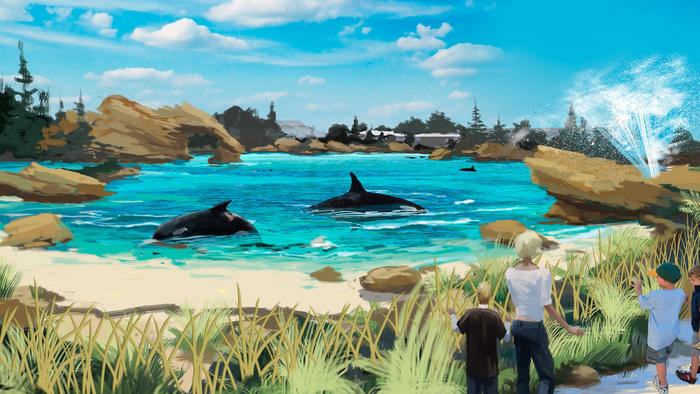 The San Diego facility is expected to open to the public in 2018 with new killer whale tanks to follow at SeaWorld Orlando and SeaWorld San Antonio. Another legitimate concern is captive breeding. Is it SeaWorld’s intent to focus more on its breeding program as a result of bigger tanks, potentially increasing their population of captive killer whales? © 2014 SeaWorld Parks and Entertainment Inc.